FC Edmonton goalkeeper Matt VanOekel has earned the 2016 NASL Golden Glove, which is the annual award that goes to the goalkeeper with the league’s best goals against average. VanOekel has had a standout year, starting with his shutout in the Eddies’ first game of the year, while playing with 10 men, and helping the club achieve the No. 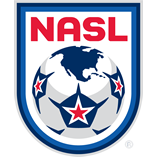 3 seed in The Championship, the NASL’s four-team postseason tournament. “It’s a nice personal accolade that I’ll get to have on the shelf for many years to come, and I’ll be able to show my kids and grandkids,” VanOekel said. In 2016, it was the year of the Eddies’ defense, which conceded a league-low 21 goals in 32 games. In the process, VanOekel set a number of league records – earning 16 shutouts and posting a goals against average of 0.55. He only conceded 16 of the Eddies’ 21 allowed goals over the course of the Spring and Fall Seasons, making 29 starts and amassing 2,610 minutes of play. The Chesapeake, Va., native is also the NASL Modern Era leader in career goalkeeper victories (48) and saves (334). VanOekel, 30, has played in the league since 2011 and just concluded his second year with the Eddies. “The keys to success this year were really getting confidence early in the season, making the saves I know I’m capable of making, and coming in a little bit fitter than I was last year,” VanOekel added.